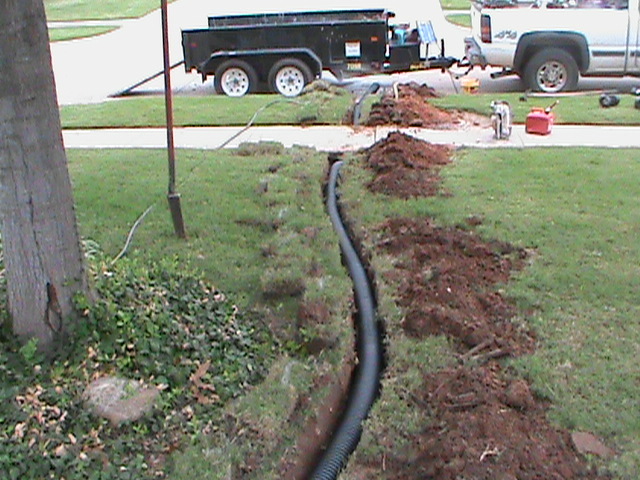 A French Drain is a long perforated pipe in the bottom of a trench. The trench runs through the problem drainage area. The trench is filled with gravel or crushed lime stone. 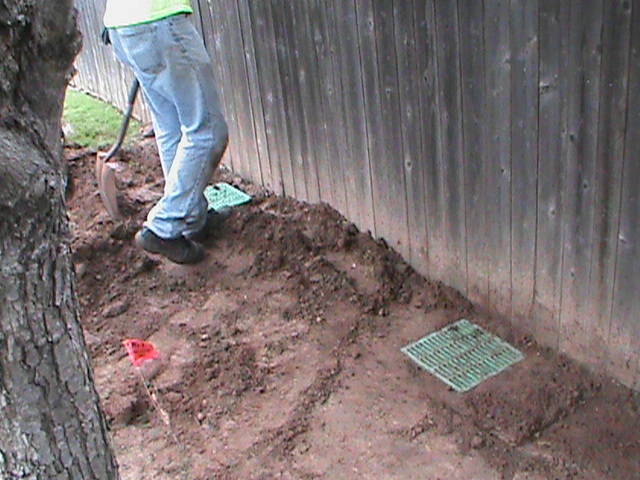 The French Drain takes in water any place that water runs into the trench. 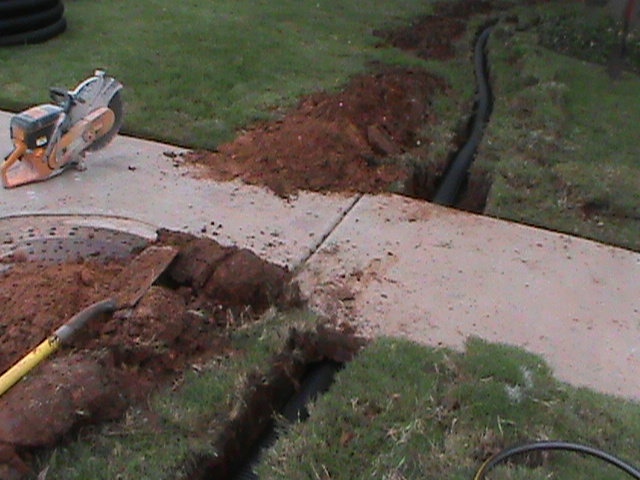 A French Drain will move large amounts of water from the Drainage Problem Area to the Exit point. A French Drain will Drain away water that gets to the Drainage Problem Area in 3 ways. 1. Water gets to the problem area by falling from the sky. 2. Water gets to the problem area by flowing down hill over the ground. Number 3, Sub-Surface water flow is the big consideration. 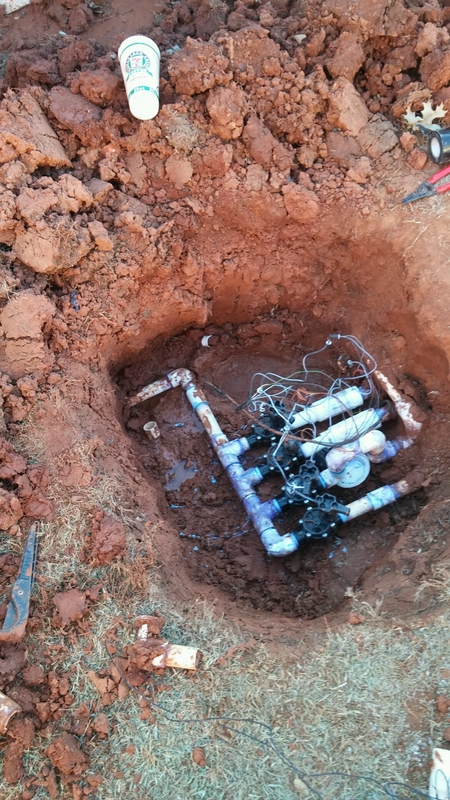 When doing a Drainage Diagnostic, this is the area that is many times missed or not considered by less experienced companies. CMG relies on 21 years of experience. Many Times it is cheaper and more effective to install a French Drain over a Surface Drain. A Surface Drain can’t move as much water as a French Drain, and a Surface Drain can’t Drain away Sub-Surface water. Surface Drains should be installed in areas where the Drainage Problem area is smaller and is not affected by sub-surface water. The draw back to a French Drain, is that it is not a pretty as a Surface Drain. French Drains do a great job running along foundations and driveways. A French Drain will keep water away from cement and prevent damage to concrete if water should freeze up against it. A French Drain can keep your foundation Dry. CMG Services Oklahoma City, Moore, Norman, Edmond, Yukon, Mustang, Midwest City, and all surrounding Central Oklahoma. Some Simple rules about French Drains and Surface Drains. 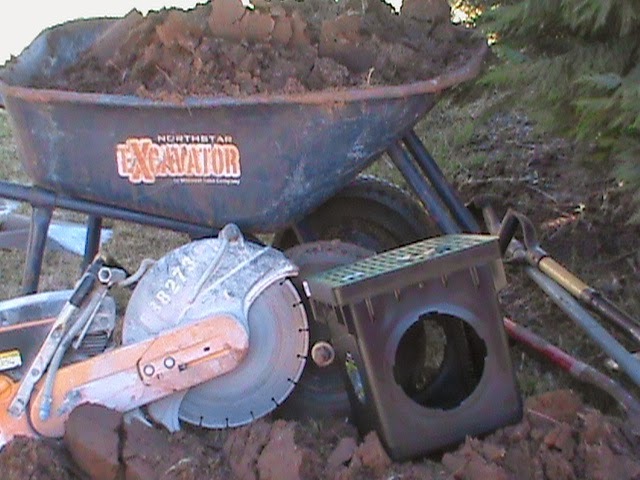 A French Drain should be installed when there is a large volume of water to be drained over a large area. Surface Drains are needed when the water volume is smaller and the Drainage Area is small and focused. 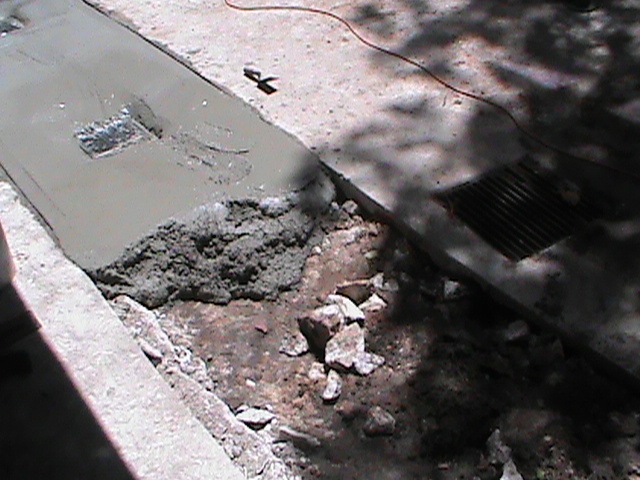 French Drains move away Surface Water and Sub-Surface water. Surface Drains move only surface water.